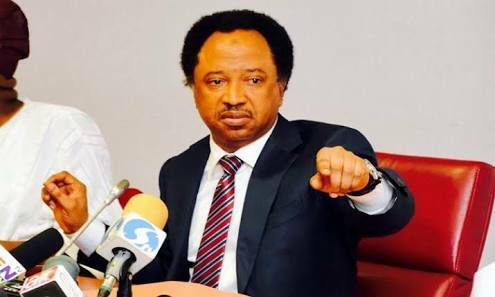 and a coronation of fraud", Shehu Sani, the senator representing Kaduna Central Senatorial District said on Thursday. He said: "A party that wants to deliver change should not fake a pregnancy. The APC reneged on its word, breached its laws, concurred with illegalities and inanities and suppressed its appeal panel report." The senator stated this in response to a statement by Lanre Issa-Onilu, APC Publicity Secretary, regarding post-primaries issues. The senator dumped the APC and joined the Peoples Redemption Party (PRP), after his name was substituted in the list submitted to the Independent National Electoral Commission (INEC). A press statement signed by his Special Adviser, Comrade Suleiman Ahmed and made available to journalists in Abuja on Thursday, noted that the primaries constituted a pre-determined "fleecing exercise and scam used to subvert the will of Nigerians". The senator also described the APC primaries as an "industrial scale fraud of roguish proportions, adding that "the primaries was nothing but a ruse and charade which cannot stand the test of time". "It was a packaged hoax, a synchronised scam. The just-concluded APC primaries was a violent desecration of the moral pedestal upon which the party purports its legitimacy," he said. He explained that those defending the primaries are people without honour, adding that Kaduna APC Central Senatorial primaries was a "dubious exercise compelled by the Governor of the state and executed by a queue of clownish delegates handpicked and written by the so-called winner".